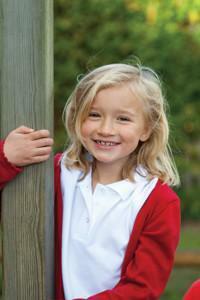 As a school, we believe that wearing school uniform reinforces the sense of belonging within the school. Black shorts, t-shirt in their house colour (red, blue, green or yellow- this will be advised when starting at the School). Your child will need a pair of trainers for outdoor games, a tracksuit and a PE bag to keep it in. Jewellery is not practical or safe to wear in school. In line with Hampshire policy, earrings must be stud and should be removed before PE. No other jewellery is to be worn to school.